The divorce that enabled former Spokane police Officer Karl F. Thompson Jr. to charge taxpayers more than half a million dollars for his legal defense against excessive force charges is being questioned by federal authorities. Thompson, still awaiting sentencing for his 2006 fatal confrontation with Otto Zehm, still lives with his ex-wife in the Hayden home she was supposed to have taken full ownership of four years ago, and they continue to share bank accounts and auto insurance policies, prosecutors note. Defense attorney Carl Oreskovich confirmed that his client has not transferred the assets and that Thompson continues to live in the home with his ex-wife. He denied government claims of deception and described the Thompsons’ arrangement as two people struggling with an uncertain future. As of Sept. 25, U.S. District Court Judge Fred Van Sickle had authorized payments of $541,180 to Oreskovich’s law firm to defend Thompson, who was convicted last year of using excessive force and lying to investigators following the March 18, 2006, confrontation with Otto Zehm. Zehm died two days after Thompson beat him with a baton, shocked him with a Taser and several other officers hog-tied him following an erroneous report that he had stolen money from a nearby ATM. U.S. Magistrate Judge Cynthia Imbrogno noted the divorce when she declared Thompson indigent in July 2009 despite his $73,000 annual salary and interest in the $675,000 log home on two acres in Hayden. Records indicate that the Thompsons divorced in 2008 as the criminal investigation was under way. The divorce, filed by Diana J. Thompson, called for her to receive the family home, “as well as a motor vehicle and other personal property.” She also was to receive half of Thompson’s retirement plan through the city of Spokane. But when he recently was interviewed for the pre-sentence report, Thompson said that his wife is “still the family’s ‘bookkeeper’ and that no separate accounts have been created or maintained,” Durkin wrote in court records. “The government attempts to imply that the divorce was somehow illegitimate,” Oreskovich wrote. He explained that Thompson did create a separate account, in which he deposits his checks from Social Security. 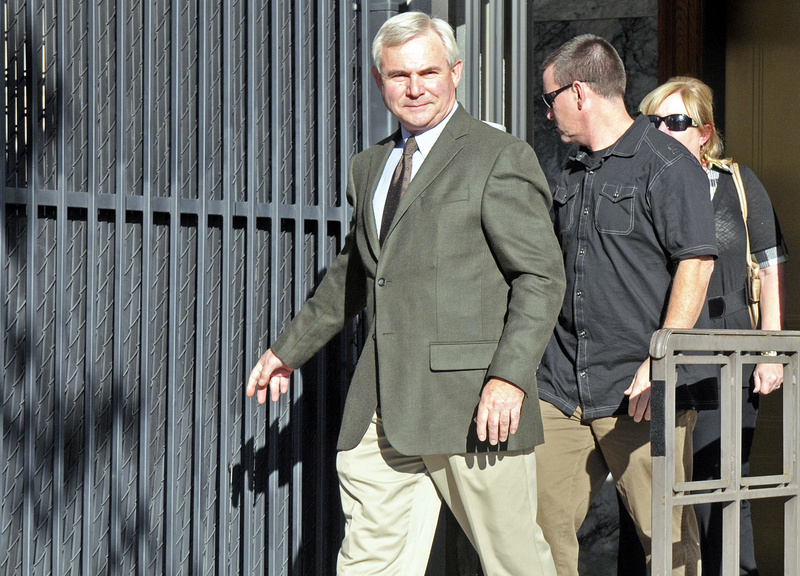 Reached at his office Thursday, Durkin said he could not comment about any aspect of the case. Oreskovich, in a Thursday telephone interview, said Thompson is doing his best to fulfill his promises to his ex-wife. “I think the government is trying to make something where there isn’t an issue,” he said.